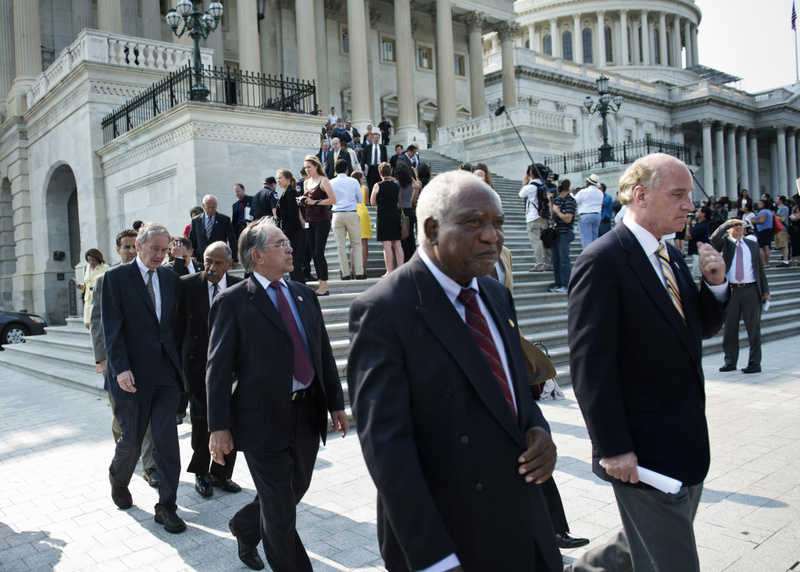 House Democrats walk out of the US Capitol building during votes in protest June 28, 2012 in Washington, DC. Members of the Congressional Black Caucus and other House Democrats walked out to protest the US House of Representative's vote to hold US Attorney General Eric H. Holder Jr. in contempt of Congress for his testimony and cooperation with Congress revolving around the Justice Department's 'fast and furious' program. Patt talks to Congressman Adam B. Schiff about walking off the House floor in protest of the vote to hold Attorney General Eric Holder in contempt. Affordable Care Act is mostly upheld by the US Supreme Court, but how does this impact you? 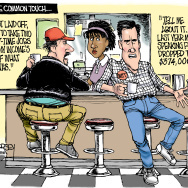 What does today's ruling mean for the Commerce Clause?